Buried: Field Of Mars Cemetery, Ryde, N.S.W. Anglicized his name to Henry Gerard BOHLSEN. 1. 1883-1886, 70 Druitt St., Sydney, N.S.W..
2. 1887, Ocean St., Woollahra, Sydney, N.S.W..
3. Residence; 1888-1891, 70 Druitt St., Sydney, N.S.W..
4. 1893-1894, 371 Oxford St., Paddington, Sydney, N.S.W..
5. 1896, 9 Underwood St., Paddington, Sydney, N.S.W..
6. 1900, 486 Harris St., Sydney, N.S.W..
7. 1902-1908, George St., Hornsby, Sydney, N.S.W..
8. 1909-1910, Golden Grove Lane, Darlington, N.S.W..
9. 1911, 284 Harris St., Sydney, N.S.W..
10. 1912, 119 Harris St., Sydney, N.S.W..
11. 1914, 76 Bulwarra Street. 12. 1923, 15 Bay St., Balmain, Sydney, N.S.W. 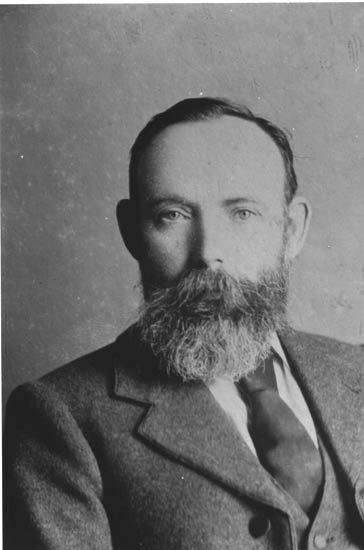 Henry Gerard Bohlsen was naturalised in 1898. Named as a beneficiary in the Will of his 4th wife Margaret Bohlsen (1909). "Hinrich Gerhard (Henry Gerard) Bohlsen ran away from home when he was 13 yeears of age and subsequently made his way to England, where he lived for seven years working as a tailor. He most likely married Theresa Dorow before migrating to England. While in England he took out British citizenship and anglicised his name. Claiming to be a farm labourer, Henry organised for his family to migrate to Australia.They left England on the ship Star of India' and arrived in Australia on 5 Nov 1877. ...The present is Messrs. Bohlsen and Sons (tailors) second business term in the district. Mr. H. Bohlsen opened some years ago, when there was but a meagre population, and evidently saw promising probabilities. Mr. Bohlsen has been a tailor in London (12 years) and in Sydney (18 years). He evidently means to stay in Hornsby, and THE ARGUS wishes him all sorts of prosperity. The Cumberland Argus and Fruitgrowers Advocate, Saturday 4 Jan 1902. Re Henry Gerhard Bohlsen: The Registrar found that bankrupt was bankrupt before in 1890, when his certificate was suspended for not keeping proper books, and nothing was realised in tbe bankruptcy. No books were handed over to the official assignee. Tbe certificate was suspended for twelve months. "March 7, at his residence, Great Northern-road, Ryde, Henry Gerard, beloved father of late Henry Otto (Harry), A.I.F., Martha (Nurse), Mrs. Carpenter, Mrs. Richards, Alf., Tom, Chris., Fred, and Herbert, aged 75 years. Interred March 10, Field of Mars. At rest." "Henry Gerard (or Gerhard) Bohlsen, late of Ryde, Retired Tailor. Hinrich married Theresa DOROW, daughter of Frederick DOROW and Caroline KRUGER, on 19 Mar 1871 in St. Martha, Whitechapel, London, Middlesex, England 1 2. (Theresa DOROW was born in 1842 in Germany and died in 1874 in London, Middlesex, England 13. Hinrich also married Wilhelmina Caroline DOROW, daughter of Frederick DOROW and Caroline KRUGER, on 23 May 1875 in Whitechapel, London, Middlesex, England 2 3. (Wilhelmina Caroline DOROW was born in 1850 in Germany and died on 1 Mar 1878 in Orange, New South Wales, Australia. Hinrich also married Charlotte JOYCE, daughter of Thomas Wemyss JOYCE and Ann PIKE, on 28 Dec 1878 in St. Andrews Cathedral, Sydney, N.S.W., Australia 4 5. (Charlotte JOYCE was born on 2 Jan 1851 in 2 Albert Crescent, Lee, Kent, England 14 15 and died on 26 Jun 1906 in George St., Hornsby, Sydney, N.S.W., Australia 16 17. "December 28, at St. Andrew's Cathedral, by the very Rev. the Dean of Sydney, Henry Gerard, second son of the late Christian Bohlsen, Oldenburg, Germany, to Charlotte, eldest daughter of the late Thomas Weymss Joyce, late of Glenmore Road, Paddington, Sydney. Hinrich also married Mrs. Margaret WILSON on 17 Feb 1908 in Whitefield Church, Sydney, New South Wales, Australia 6 7. (Mrs. Margaret WILSON was born about 1843, died on 13 Mar 1909 in Royal Prince Alfred Hospital, Camperdown, Sydney, N.S.W., Australia 18 19 and was buried on 15 Mar 1909 in C of E Cemetery, Rookwood, N.S.W., Australia. "February 17, 1908, at Whitefield Church, Henry Gerard Bohlsen, of George-street, Hornsby, to Margarite Wilson*, of 38 Rose-st, Darlington, Sydney." 1 England and Wales Marriage Registration Index, 1837-2005, 1st Quarter, vol. 1c, p. 613. 3 England and Wales Marriage Registration Index, 1837-2005, 2nd Quarter, vol. 1c, p. 748. 4 NSW Registry BDM (marriages), 1396/1878. 5 The Sydney Morning Herald, Tuesday 4 Mar 1879. 6 NSW Registry BDM (marriages), 629/1908. 7 The Sydney Morning Herald, Saturday 14 March 1908. 8 NSW Registry BDM (marriages), 211/1910. 9 Research conducted by German genealogist Hans H. Francksen, citing Langwarden Parish Register, in a letter to John Gore dated 27 Nov 1991. 10 NSW Registry BDM (deaths), 3698/1923. 11 The Sydney Morning Herald, Thursday 15 Mar 1923. 12 New South Wales Will Books, 1800-1952, no. 118076. 13 England and Wales Death Registration Index 1837-2007, 4th Quarter, vol. 1c, p. 54. 14 England and Wales Birth Registration Index, 1837-2008, Lewisham district, 1st Quarter, vol. 5, p. 337. 15 birth certificate in possession of compiler (no. 150). 16 NSW Registry BDM (deaths), 4733/1906. 17 The Sydney Morning Herald, Thursday 28 June 1906. 18 NSW Registry BDM (deaths), 2663/1909 (called Margareth). 19 The Sydney Morning Herald, Monday 15 March 1909. 20 NSW Registry BDM (deaths), 9152/1929. 21 The Sydney Morning Herald, Wednesday 8 May 1929.